Something different to try in the garden. 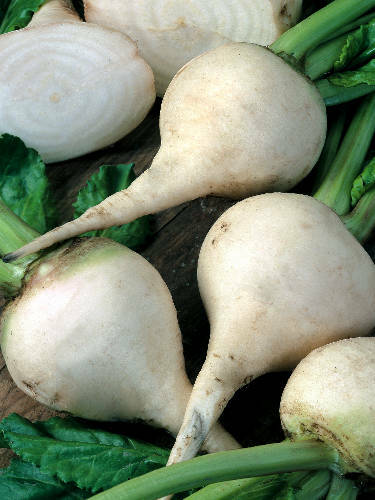 The completely white beets won’t ever stain your clothes or your tablecloth! This heirloom beet from Holland has a delicious, sweet flavour. Hill up the soil around the beets as they grow to keep them from turning green. 50 days.